Place five 18x12-inch pieces of heavy aluminum foil on counter. Spray each with cooking spray. Evenly place onion and potatoes on each piece of foil. Pierce bratwursts with fork and place on top of vegetables. 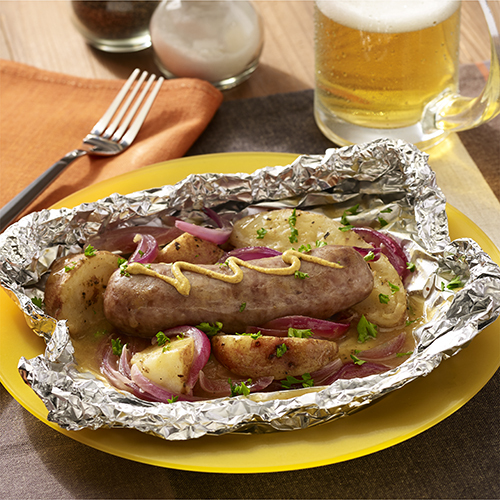 Carefully fold edges of foil upward; pour about 1/4 cup beer mixture into each packet. Double fold top and ends of each piece of foil, leaving space for steam to gather.